This ribbed beanie hat is really lovely! 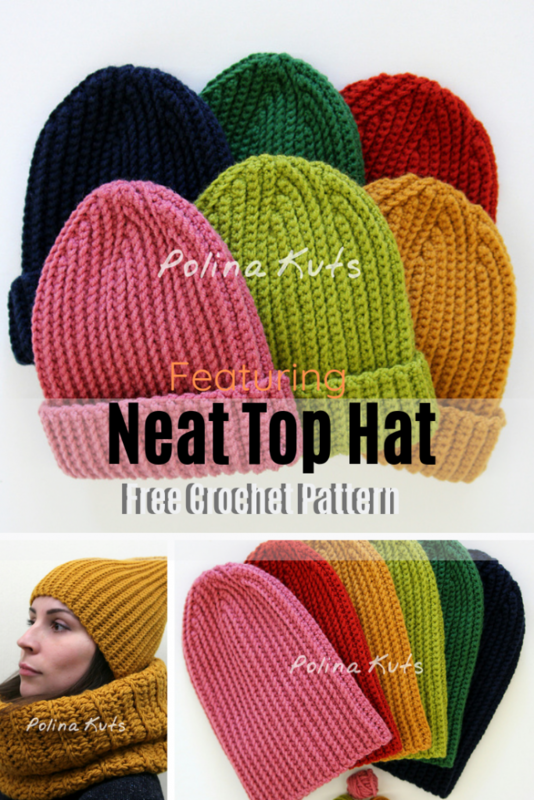 Neat Top Hat by Polina Kuts is a simple and quick crochet pattern. Hat is nice and warm and the ribbed style is beautiful. It’s great for gifts and for using up leftovers. We all appreciate a nice crochet project that uses up leftovers in a very cool way.Make yourself and dear ones a few in different colors. Test hats are crocheted with Alize Lanagold 49% wool 51% acrylic. Gauge 10x10cm / 4x4in: 16 sc blo x 20 rows. 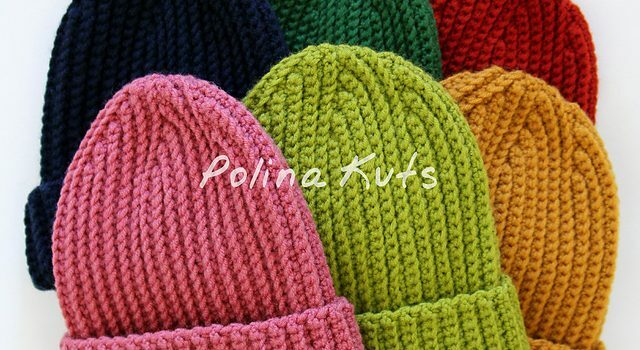 Hat Size: head circumference 54-57 cm / 21-22,5 inches (adult size). Hat height: 30 cm / 12 inches. Get the pattern: Ribbed Beanie Hat Free Crochet Pattern. Thanks to Polina Kuts for the article inspiration and featured image.